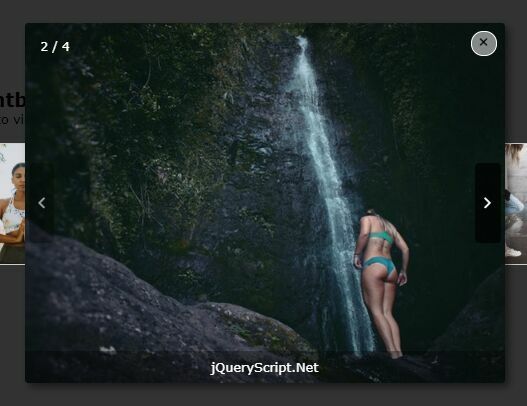 Popups a clean modal window with fullscreen overlay. Responsive design that adapts to any screen size and orientation. 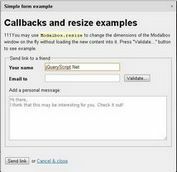 Highly configurable with lots of built-in options, methods and callback events. Works with all the modern browsers and IE7/8/9. Accessible Rich Internet Applications (WAI-ARIA) supported. 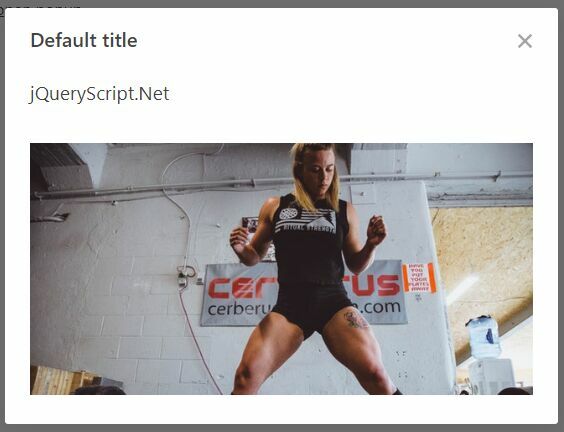 Also can be used as a tooltip plugin that the tooltip content will be positioned relative to the opening link. 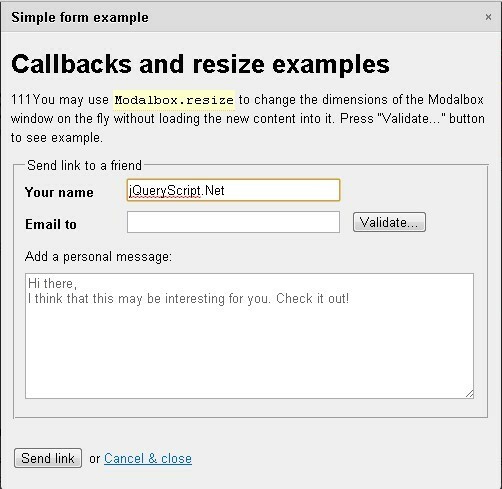 Easy to implement on your web page/app with one js call. 1. Create a link with href attribute pointing to the target modal content. 3. Call the plugin with all the default options. 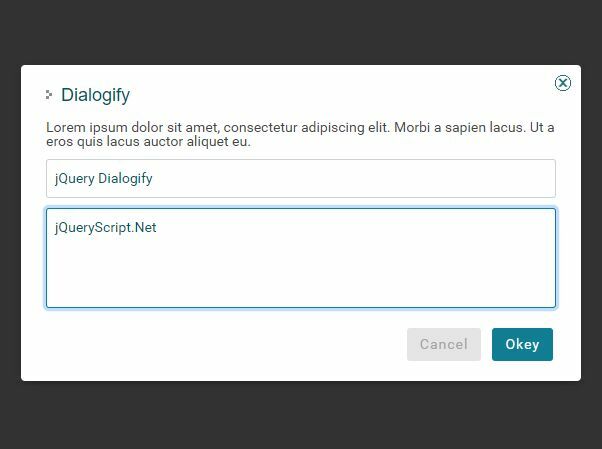 // Sets popup type to overlay or tooltip. // Shows the popup when initialized. // Disable background cover and keep background elements active. // Sets top offset to tooltip. // Sets left offset to tooltip. // Closes the popup when Escape key is pressed. // Closes the popup when clicked outside of it. // Sets elements which will be ignored in blur option, even if they are outside. // Sets default z-index to the popup (2001) and to the background (2000). // Sets highest z-index on the page to the popup. // Disables scrolling of background content while the popup is visible. // Lock keyboard focus inside of popup. Recommended to be enabled. // Enables you to specify the element which will be focused upon showing the popup. // By default, the popup element #my_popup will recieve the initial focus. // Sets a delay in milliseconds before focusing an element. 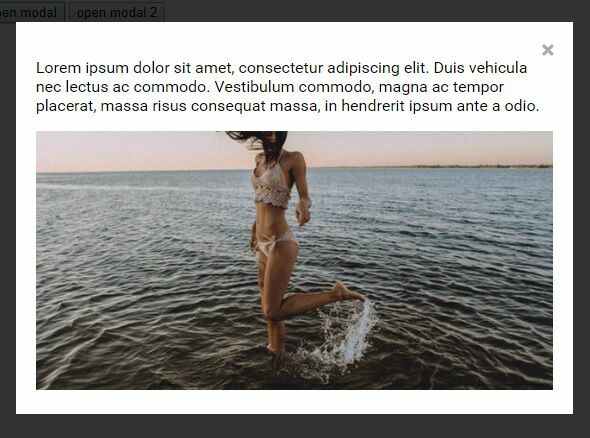 // as browsers will try to move the viewport to an element which received the focus. // Shows a default browser outline on popup element when focused. // Sets a page container (to help screen reader users). // (e.g. '.container' in the case of this very page). // Removes popup element from the DOM after closing transition. // Enables you to define custom element which will open the popup on click. // By default, in our case it's set to .my_popup_open. // Enables you to define custom element which will close the popup on click. // By default, in our case it's set to .my_popup_close. // Sets CSS transition when showing and hiding a popup. // Sets an element to be an anchor for tooltip position. // executed before the popup is opened. // executed when the popup starts to close. // executed when the popup starts to open. // only if transition actually occurs and if supported by the browser. // Manually opens a popup. // Manually hides a popup. // Manually toggles a popup. Fixed typo effecting array size. Most browsers will auto correct this, but IE7 will not. Add option `action: hover` for tooltips. Fixed touch devices not to open links below the popup on click outside of it. Added option "triggerevent" to support multiple opening links for the same tooltip. 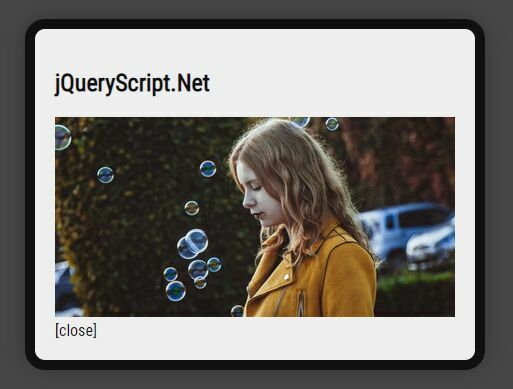 This awesome jQuery plugin is developed by vast-engineering. For more Advanced Usages, please check the demo page or visit the official website.